How to determine the phases in a complex phase diagram? 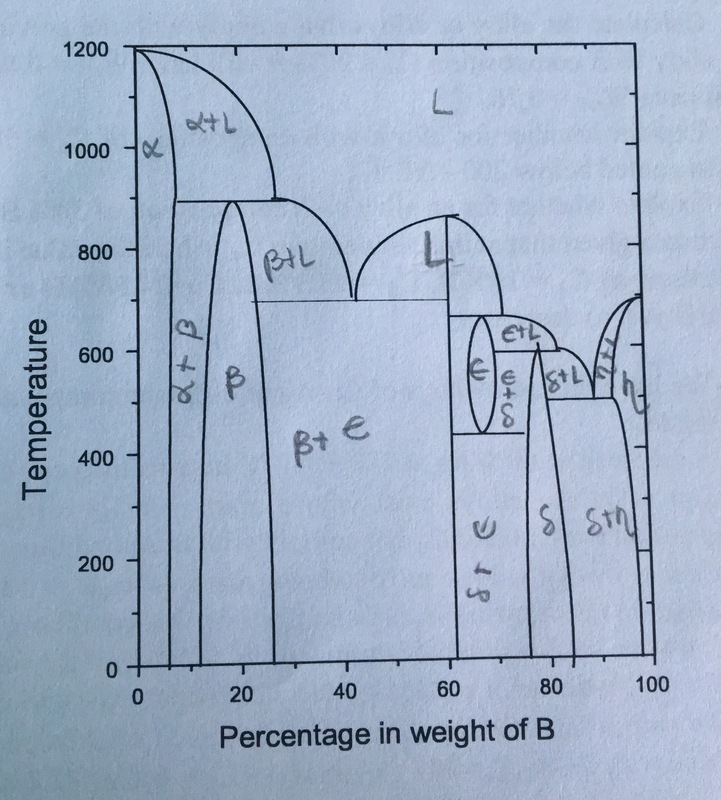 In my school notes, we have the following phase diagram that shows an example of how complex things can get when we have intermediate phases. I tried filling in phases, but I have no idea how to check if I am doing a good job or not. What is the mechanism to determine the phases starting with a diagram like this? This is a question I have made for myself, NOT homework. Browse other questions tagged phase or ask your own question. How to figure out which phase on a phase diagram will be the most dense? How do phase transfer catalysts bring anions to organic phase? Given this liquid-liquid phase diagram, is the green line the nitrobenzene-rich phase? How to without calculations understand the liquid-liquid extraction efficiency? What is the topology of a phase diagram?